Film festivals in Utah might be most associated with our eastern mountains, but you can find one on the southern side as well. DocUtah is an international documentary festival that highlights everything from 10-minute shorts to feature-length films. This non-fiction emphasis gives audiences a unique experience in subject matter and tone. Here are just some of the topics covered in this year's festival entries: a modern country with no military; a New York City man obsessed with stealing city buses and impersonating the driver on the routes (Off the Rails, pictured); children learning to run with the bulls in Pamplona, Spain; an 85-year-old college student, a Frenchman visiting American ghost towns, and a behind-the-scenes look at BYU comedy troupe, Studio C.
Filmmakers devoted months and even years to creating these intriguing stories. DocUtah shows them proper respect by taking over three venues, including the Dixie State Fine Arts Building in St. George as their festival hub. The rich and vibrant world of Los Angeles hip-hop culture is coming to Salt Lake City in the form of the Versa-Style Dance Co. Created by Jackie Lopez (Miss Funk) and Leigh Foaad (Breeze-lee), this group explores social and political issues through dance while simultaneously breaking media stereotypes of hip-hop culture. 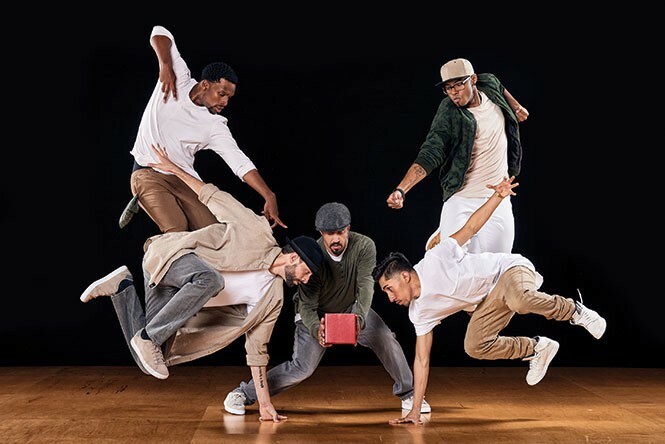 This upcoming performance features excerpts of their latest work, Box of Hope, which explores themes of inequality, particularly within underserved communities in L.A. Versa-Style uses the music of Motown artists such as Stevie Wonder and Marvin Gaye to communicate this message. This show kicks off the UtahPresents season, spotlighting works from a variety of cultures performed by artists from around the globe. Sheri Jardine, spokesperson for UtahPresents, says groups such as Versa-Style are being featured to reflect the growing diversity of Salt Lake City. She also says it's a chance to showcase and celebrate the wide variety of hip-hop styles, which is often misrepresented as monolithic. "I think that it's interesting to look at it through a lens of historical commentary to appreciate [hip-hop]," Jardine says. "Not just because it's fun, but also to appreciate the historical roots and racial oppression that inspired it as an art form because obviously we're still struggling with that as a country." Back in the early days of Utah's statehood, much of Salt Lake City was divided by culture and ethnicity, including the Old Greek Town area, which lay primarily on the west side of the city past West Temple. Not much remains of it, except for scattered buildings and the Prophet Elias Greek Orthodox Church. But every year in early September, downtown's west side is filled with patrons headed to this church, celebrating the Salt Lake City Greek Festival. Underneath a giant tent covering the northern parking lot, you'll find great dining and entertainment. 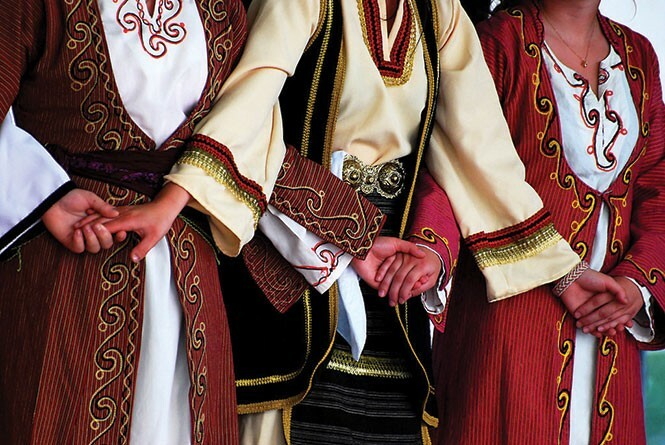 Dance groups show off Kalamatiano, Tsamiko and Hassapiko performances, accompanied by traditional and modern Greek music. The event includes many crafts, jewelry and goods for sale by local artisans. But most of all, you'll be able to sample a wide range of Greek food. And not just the familiar treats found at fast-food joints, but authentic delicacies cooked and prepared the way the way they should be—everything from rib-sticking entrées to the delicious desserts. Utahns attend more arts events per capita than anyone else in the country, according to a recent report in The Salt Lake Tribune. Maybe our collective interest in the arts—and dance, in particular—is encouraged by the fact that our local universities put out tons of talent every year, infusing our art scene with new people, new ideas and new companies, like Brine. 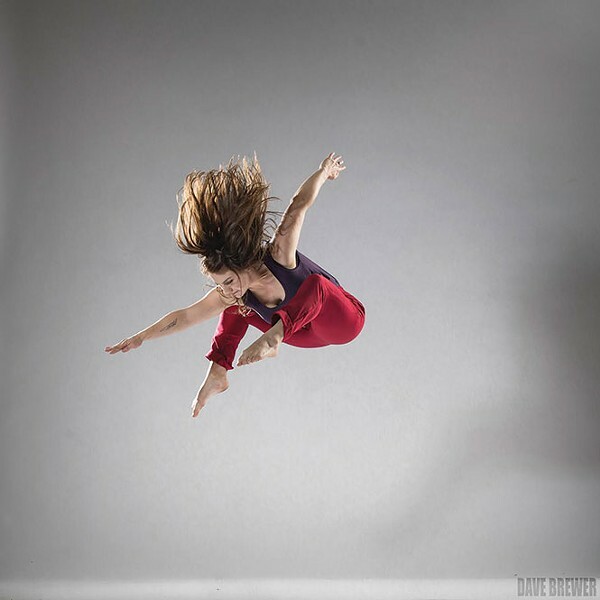 Formed in 2015 by dancers Sara Pickett (MFA modern dance, University of Utah), Symmer Andrews (dance minor, Weber State) and Ashley Creek (BFA modern dance, University of Utah), Brine is a dance collective that works to create opportunities for a variety of artists—choreographers, designers and dancers—to share their talent, vision and passion. This week, Brine—through Repertory Dance Theatre's Link Series—presents Intersections, an evening-length concert featuring work from six local choreographers: the three founders, plus Natalie Desch, Destiny Olsen and Aimee Swenson.